The literary awards season is in full swing. Am I the only one who is finding it increasing difficult to keep track of who is winning which awards? The Nobel Prize in Literature was awarded this week in Sweden. 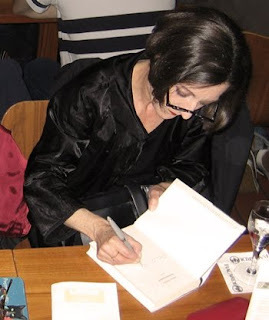 Herta Müller signing her new book Atemschaukel in a German book store.